Given that we reported yesterday on one of the more depressing, anger-inducing theme park stories in recent memory, it seems fitting today to counter that with something a little more, well…amazing. 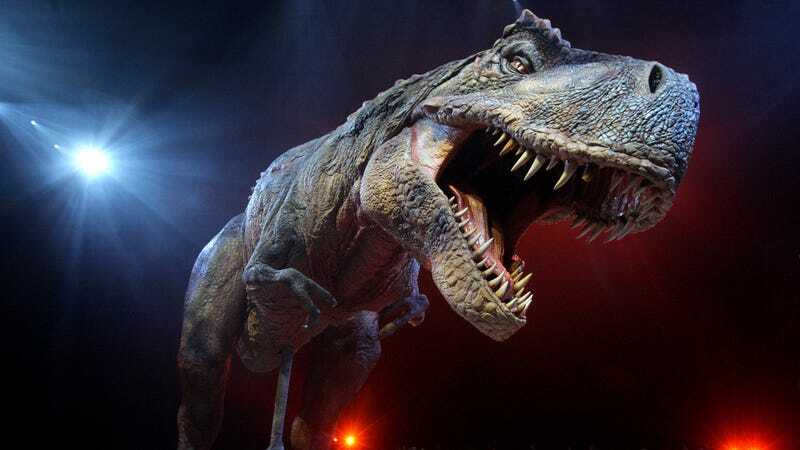 Like this footage, of a giant animatronic T-Rex that caught fire at a dinosaur park in Colorado this week, eventually burning down to its wireframe skeleton and just generally being metal af. The owners of the Royal Gorge Dinosaur Experience would like to reassure potential visitors that no one was hurt in the fire, which was caused by “an unfortunate (and rare) electrical issue” with the animatronic dinosaur. They also stressed that this was an “isolated incident,” which is good, because if there were new, daily videos of robot dinosaurs shooting giant gouts of flame out of their melting faces, we’d probably never get anything productive done ever again.